This past fall we launched two new endeavors under the Global Matters moniker, a semi-annual speaker forum and a subsequent video series available to participants and others to encourage continued dialogue and learning. The speaker forum was inaugurated on November 20 with Dr. Mansour Javidan, Carlson School alumnus and an expert on the concept of global mindset, sharing his insights with more than 150 professionals, faculty, and students. In April, we host our second event featuring Shari Ballard, president of international and chief HR officer for Best Buy, who will be speaking on the topic of "Leadership Lessons from the Front Lines of Global Business." Simultaneously, we have established a video series that is hosted as a playlist on the Carlson School of Management YouTube channel which features short interviews with experts from academia and business speaking on timely global business topics. There are currently three available and we anticipate adding topics regularly. We hope you enjoy this edition of Going Global. It features some unique perspectives on the student and faculty experience in international business education, new professional education opportunities, and new emerging research on cultural equity and branding. Also, if you're in Minnesota on April 17, plan to join us at Global Matters! The culture of the United States undoubtedly is infused with sports. Attending a sporting event or following the game from home is as American as apple pie and red, white, and blue. 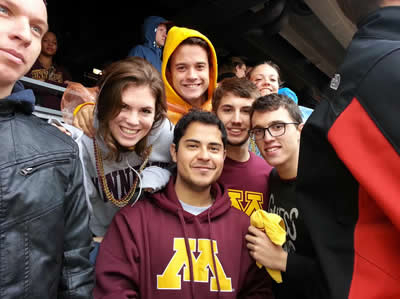 This love of sports extends to college campuses, with some of the larger schools such as the University of Minnesota, fielding student athletic teams in numerous sports that compete against teams at other universities across the United States. Collegiate sports are a significant part of the student experience for both the athletes, who compete on behalf of their school, and their fellow students, who are there to cheer them on. At any given time, there are between 50 and 65 student athletes studying at the Carlson School. These athletes represent almost every sport from hockey to swimming to football to tennis. The student athletes must balance their athletic commitments and their studies. When the Carlson School approved a curricular requirement for all undergraduate students to participate in an international experience, there was some concern about the impact that this requirement may have on the ability of student athletes to attend the Carlson School. The Carlson Global Institute worked closely with all stakeholders to ensure that student athletes could benefit from the education abroad experience without negatively impacting their team commitments. Each year the Carlson School hosts more than 100 exchange students from partner business schools around the world. Periodically, students find their time in Minnesota so transformational that they decide to extend their studies from a semester to a full year. Felipe Reyes Carmona is one of those students. Carmona is an MBA student from Copenhagen Business School who came to Minnesota in 2013 for the fall semester and decided to extend his time here through spring semester. We spoke with Felipe about his decision to come to the Carlson School and then to extend his studies here in Minnesota. Here is what he had to say. Why did you decide to study at the Carlson School? I decided to study at the Carlson School because I did extensive research about several international universities where I could study on exchange and write my thesis. Over a three-month period, I investigated different universities from across Europe and the United States and I evaluated factors such as course content, university faculty, study plans, networking possibilities, extension programs, recognition, and other factors. After evaluating different criteria that matched my career expectations, I had three universities, one of which was the University of Minnesota. The deciding factor for me was the great sense of research and innovation at the University that positioned the Carlson School quite clearly ahead of other business schools. What has surprised you most about your time here? What surprised me most was how alive this University is. It is so vibrant and full of life despite the fact that it is located in the coldest major city in the USA! The University of Minnesota is a community on its own. More than offering just great courses, it offers a diverse way of life for every student enriching his or her experience through student organizations, extracurricular activities, amazing events, great networking, career guidance, etc. It is quite simple - on a normal Thursday you can volunteer with an Asian dance performance, go bowling with your friends, have an organic lunch, watch a movie in the cinema, and have a Colombian coffee all in the same building (Coffman Union). So as we say with my friends from the last semester exchange: "Life is what happens when you are at the U of M."
What motivated you to extend your studies in Minnesota? My main motivation to extend my studies here is all the opportunities that you may find around the University of Minnesota. Writing my thesis in this University is quite important because, unlike my home university, I'm right now doing real consulting for a company through the Carlson Brand Enterprise. This is material and information that I can use for my thesis. In addition, I have access to great courses with amazing professors who are willing to be my advisors for my thesis project in collaboration with Copenhagen Business School. 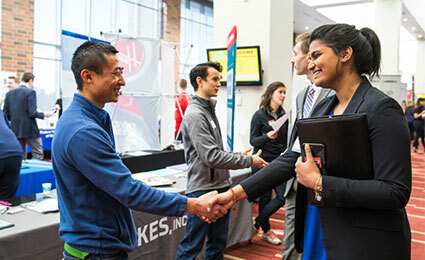 Additionally, the opportunities to get an internship, a full-time position, or merely guidance and advice through the career center and the Carlson Business Network are fundamental for me, since my next step after finishing my MBA is to go back to a professional environment. And finally all the extracurricular activities that the University offers are quite transcendental and important to grow not just in the academic sense but in many other ways. As an example, right now I am participating in the Culture Corps, a program provided by the U of M's International Student and Scholar Services, in order to answer questions and confront paradigms that American students face while going abroad. I am also just about to begin a research project about what international students from graduate business schools expect when they arrive at the Carlson School. These extracurricular activities are quite important because they enable students like me to have a more holistic experience and gain a better perspective about who you are and what you want to do. Finally, recruiters from many companies appreciate participation in extracurricular activities, since it reveals much more of a person's life, habits, friends, interests, and conduct than merely grades can do. It gives future employers a context to understand you better and know you not only as an employee but as a person. That's where as a student it is important to take that chance while at the University of Minnesota. It definitely is a success factor on your CV. The very first thing is to have a couple of weeks off and have a good break. After that, of course, I will go back to the professional world and get a full-time position. So far I have a few offers, but it is too soon to decide and these opportunities are both in the United States and abroad. At some point you just realize that, in some way, your job is the one who decides where you will be. Of course you always decide if you want to take the challenge or not. So if you want to have options, to decide about your life, you have to go for them. My advice to students that might read this is to travel abroad as much as you can. It really gives you a quite different perspective and at the end it pays, literally. You may earn more because you speak another language, have a special certification, or have pursued an internship abroad. An advantage for students from the Carlson School, or the University of Minnesota, is that they have exchange opportunities with many great universities around the world. The U of M has a great reputation. So when you decide to go abroad you have a great name that supports your ambitions to grow and succeed around the world. Carlson School faculty members are pursuing timely and relevant research on a variety of global business topics. Take Assistant Professor of Marketing Carlos Torelli as an example. Dr. Torelli's expertise lies in cross-cultural consumer behavior, global branding, and persuasion. Some of his recent research focuses on the cultural congruity of brands. In other words, delivering brand messages that are compatible with the value priorities in target cultures and consistent with existing brand images. His research has found that abstract brand concepts are more useful in marketing products across cultures. This research has been featured in publications like the Wall Street Journal’s Marketwatch and led to the recent publication of a textbook titled Globalization, Culture, and Branding: How to Leverage Cultural Equity for Building Iconic Brands in the Era of Globalization. He also shared his insights on this topic for the Global Matters video series. Carlson Global Institute hosted its first installation of the Global Matters speaker forum last fall. The inaugural event was attended by more than 150 people and featured Carlson School alumnus Dr. Mansour Javidan, who explored the concept of "global mindset." Mansour Javidan: What is the global mindset and why is it important? Mansour Javidan: What are the three dimensions of the global mindset? Carlos Torelli: What is cultural equity? Subscribe to the Carlson School of Management channel to receive alerts as new videos are posted each month. understanding cross-cultural dynamics. Over the last 20 years he has lived, studied, and worked in Poland, Sweden, Canada, the U.S., Germany, and Japan. His most recent immersion brought him to Minnesota and the Carlson School of Management. Mironski began his studies at the Warsaw School of Economics in 1986 under the communist system. With knowledge of Russian, Polish, and German languages, he decided to study foreign trade as it was the only means at that time for international engagement and travel abroad. Midway through his undergraduate studies, the shift to an open economy began. As visa restrictions were eased during the transition, he was able to spend a year in the United States working on his English. Upon returning to Poland and completing his degree, the opening of the economy spelled opportunity for a new multilingual business graduate. He spent the next few years working for Proctor and Gamble and then the Polish national radio station before returning to academia to pursue a PhD in business. He describes the decision as continuing a family legacy of teaching. With both parents and five aunts and uncles serving as teachers, he believes that "it's in my genes." While at the Warsaw School of Economics, he became involved with the Warsaw Executive MBA (WEMBA) program, a joint degree program offered in collaboration with the Carlson School. He taught in that program for almost 10 years and was recognized several times as "Outstanding Faculty" in the WEMBA program. Through that engagement, he developed lifelong relationships that led him to explore opportunities to immerse himself, and his family, again in the United States. Mironski, his wife, who is also a business faculty member in Warsaw, and their two children moved to Minnesota last August for a one-year immersion. Mironski was supported in part by a U.S. Fulbright Fellowship, with additional support from Poland's Kosciuszko Foundation. His time here is structured around teaching and research. His research is exploring human nature in management. Mironski is hosted by the Carlson School's Department of Work and Organizations. He has taught two sections of a graduate course at the Carlson School, exploring management, human resources, and organizational behavior. He also recently published a book, Homo Administratus, exploring the concept of human nature in management. He plans to return to Poland this fall to continue teaching at the Warsaw School of Economics. He shared that his time at the Carlson School has been a "very pleasant experience" and he expects to pursue future opportunities to work and study abroad. The University of Minnesota CIBER and Robert Strand of the Copenhagen Business School and the Nordic Centre for Sustainability will host the third annual Professional Development in International Business (PDIB) program showcasing sustainability and corporate social responsibility (CSR) practices in Scandinavia. Travel destinations include Stockholm, Sweden and Copenhagen, Denmark. Visits for 2013 program included Carlsberg, Coloplast, Danish Fashion Institute, Ericsson, IKEA, Maersk, Novozymes and Volvo. Cultural events included city tours and a visit to the Louisiana Museum of Modern Art in Humlebaek. Learn more here. 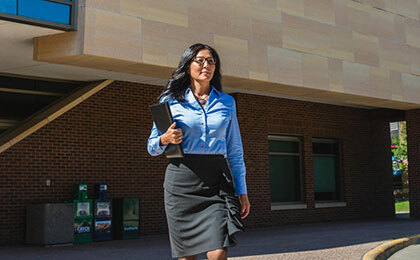 The Carlson Global Institute provides a variety of opportunities for organizations and individuals to engage with us. Opportunities include hosting site visits here and abroad, Global Business Practicum project sponsorships, guest speakers, and financial support for student scholarships, research, and program development. If you are interested in learning more, contact Jennifer Hawkins at 612-624-4334 or hawki044@umn.edu.